You are missing out if you’re not watching Andi Mack! 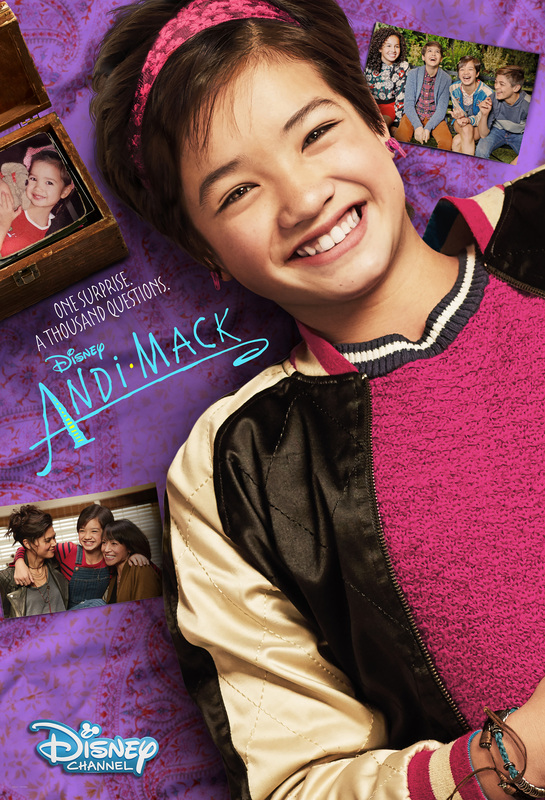 One of the most innovative shows on television, Andi Mack deals with life today in a way that is thought-provoking, intriguing, and still age-appropriate. The title character, Andi, is a 13-year old girl who is trying to figure out who she is and where she fits in. She shares her life with her family and her friends Cyrus and Buffy who are also searching for themselves. In an interesting twist, Andi’s “mom” isn’t really her mom after all, but her grandmother! Her actual mom is her “sister” Rebecca or “Bex” for short who left Andi with her mom while she traveled the world. Bex comes home and wants to be the mom she believes Andi deserves – but is honestly struggling with how to do it. Normally, a character like Bex would make me turn off the television. Irresponsible, immature, and clueless about what it means to be a parent, she comes stumbling back into Andi’s life and decides to upend it after 13 years. The very essence of being a bad role model. But I love her honesty about her struggle trying to be Andi’s mom after so long. I appreciate that it isn’t easy for her, but how hard she is trying to figure things out. I like the reality that things are tense between Andi’s mom and grandmother. It makes sense for Andi’s grandmother to have some resentment over Bex’ sudden reappearance and causing ripples in the only family she has known for Andi’s whole life. The way the show deals with these issues is refreshing and realistic and makes me want to tune in to find out what happens next. There’s also a maturity to Andi Mack that is not often found on the Disney Channel. Many of the network’s other shows rely on humor aimed at a much younger audience, but this show deals with issues that relate to tweens and young teens and uses humor and dialogue more appropriate to that age group. It still has that Disney Channel feel but somehow older. Unlike other shows on the network, this one isn’t filmed in front of a studio audience which creates a different feel also. And the shows often build on each other. Many shows aimed at kids have a “plug and play” feel. You can pretty much watch them in any order without any background needed. And while Andi Mack is easy to relate to, it helps to know the history behind the characters. 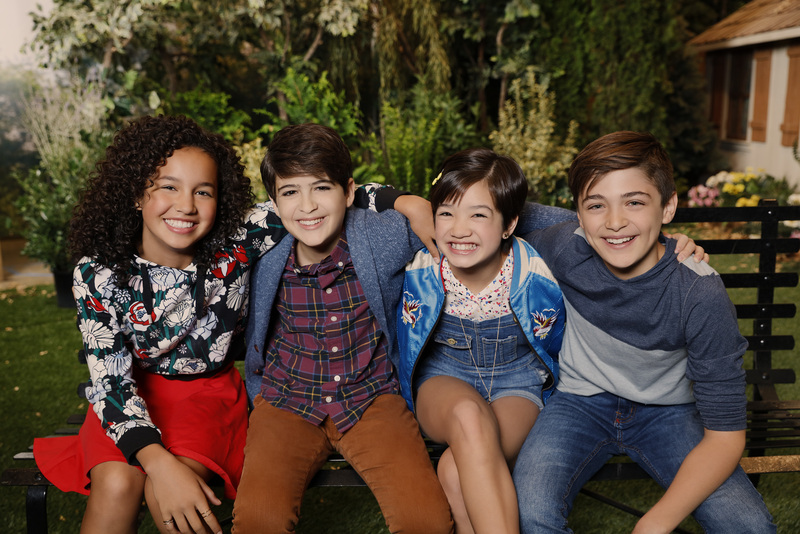 Diversity of character also makes Andi Mack stand out. Not only is the cast multi-ethnic and isn’t afraid to delve into cultural traditions, but the show features one of Andi’s friends revealing himself to be gay. A first for the Disney Channel, the show deals with coming out to your friends, living up to society expectations, and trying to deal with the realization that redefines who you are. 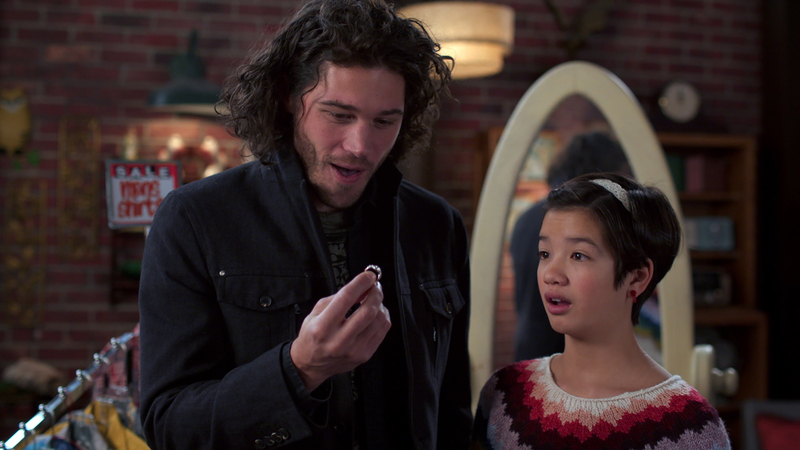 The show deals with Cyrus’ coming out with sensitivity, kindness, and heartfelt warmth. The show’s strength comes from lead actor Payton Elizabeth Lee. She may be young, but her portrayal of Andi is so completely charming and smart. The cast overall is strong. Lilan Bowden as Bex and Lauren Tom as Celia are wonderful. All of Andi’s friends are talented actors. And Andi’s grandfather, “Ham” Mack is so perfectly cast. Between the writing and the acting and how the show is put together, this makes for an amazing show and worth watching together. Next Next post: The Good Doctor Is Great!